J. M. Bernhard Jr. is the founder, chairman, president and chief executive officer of The Shaw Group Inc.®, a leading global provider of engineering, construction, technology, fabrication, remediation and support services for clients in the energy, chemicals, environmental, infrastructure and emergency response industries. Under Mr. Bernhard’s leadership, Shaw has grown dramatically through a series of strategic acquisitions since its inception in 1987. Shaw has been named to the Fortune 500 six times and is one of the youngest companies to appear on this prestigious list. In addition, the company twice has been recognized as one of the magazine’s “Most Admired Companies.” Shaw also has been named “Contractor of the Year” by the Associated Builders and Contractors. Mr. Bernhard is a major benefactor to higher education, including Louisiana State University, Louisiana Tech University (where he has served on the Research Foundation Board since 2006) and Southern University (where he served as an adjunct professor). He has been a member of numerous trade and civic organizations and previously served on the state of Louisiana’s Committee of 100. In 2001, Mr. Bernhard was the recipient of the Ernst and Young “U.S. Entrepreneur of the Year” Award. He was inducted into the Louisiana State University Alumni Association Hall of Distinction in 2006. Mr. Bernhard also has received the Prevent Child Abuse Louisiana’s Corporate Champions for Children Award and LSU College of Education’s “Special Recognition” Award. Prior to founding Shaw, Mr. Bernhard was vice president and general manager of Sunland Services, a state-of-the-art pipe fabrication company later acquired by Shaw. He also served on the board of directors of Barnard and Burk Engineers & Constructors from 1984 to 1986. He graduated from Louisiana State University in 1976 with a degree in Construction Management. Alan S. Armstrong became president and chief executive officer of Williams Company in January 2011. Previously, he served as president of Midstream and was responsible for leading Williams’ midstream and olefins businesses in Canada and the United States. Additionally, Armstrong serves as chairman of the board and chief executive officer for Williams Partners L.P. (NYSE:WPZ), the master limited partnership that owns most of Williams’ gas pipeline and domestic midstream assets. Previously, Armstrong served as vice president of Gathering & Processing from 1999-2002; vice president of Commercial Development from 1998-99; vice president of Retail Energy Services from 1997-98 and director of Commercial Operations for Williams Field Services’ Gulf Coast from 1995-97. He joined Williams in 1986 as an engineer. 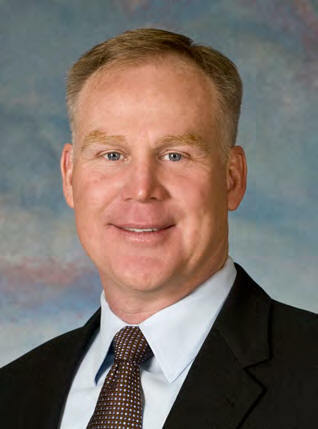 Armstrong serves as past president of the Gas Processors Association and is a board member of the Natural Gas Supply Association, the American Petroleum Institute and the American Exploration and Production Council. He also serves on the executive committe of America’s Natural Gas Alliance and is a member of the Business Roundtable, an association of chief executive officers of leading U.S. corporations. Armstrong is chairman of the Board of Visitors for the University of Oklahoma’s College of Engineering. In the community, he serves as chair of Junior Achievement of Oklahoma and is a board member of the Tulsa Metro Chamber, Tulsa’s Future II Oversight Committee and The Williams Foundation. Armstrong is a past board member of Goodwill Industries. Armstrong has spoken at numerous energy conferences and seminars, including Platts Energy Conference, Gas Processors Association, Pipe Liner Clubs and the National Energy Association. He also has presented at the Canada Energy Symposium and has been a Federal Energy Regulatory Commission panel speaker on gathering deregulation. Armstrong has spoken at industry analyst conferences, corporate and philanthropic events. Loïc des Déserts has over 35 years experience in the offshore industry. He has been involved on all types of offshore activities including the design and engineering of concrete platforms, steel jackets, deck structures, and development of bottom founded or floating deep water structures. Loïc des Déserts is graduated from Ecole des Travaux Publics from Paris, France. After having served in different position within the DORIS Engineering organization, from Project Engineer to Project Manager, he was appointed as CEO in 2004 and as Chairman & CEO in 2006. He also holds the position of Chairman of DORIS Inc., the DORIS subsidiary in Houston, and he is the representative of DORIS Engineering in the ADC Consortium in Angola. ADC is a Consortium made of Sonangol and DORIS Engineering that was formed in 2000 to maximize the returns made on the development of deepwater fields in Angola. 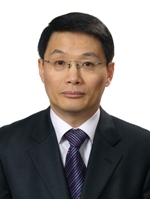 Mr. Yang Kyoo (Daniel) Ju became the President of SK Engineering & Construction Americas (SKECA) in January 2010. SK E&C Americas is a rapidly growing company in the United States and is moving forward to quickly becoming a top-tiered global Total Solutions Service Provider (TSP) covering Conceptual Engineering, Feed, EPC, O&M together with Equity participation and Financing arrangement through the participation form SKEC Korea. SKECA ‘s areas of business are Oil & Gas, Petrochemical, Power and environmental industries. Mr. Ju’s experience covers a large range of professional activities from engineering, project controls, project operations and management on a number of large scale projects throughout the world. These projects include; Thai Aromatics Complex (TAC) in Thailand, Cadereyta and Madero Projects in Mexico, and the Gladstone LNG Facility in Australia. Mr. Ju has also been responsible for arranging project financing for various large projects through a numerous financial resources, including export credit agencies (ECA’s), commercial banks and bonding institutions. Throughout his project experiences, Mr. Ju has developed his leadership skills as well as his ability to negotiate and resolve disputes in a multi-ethnic environment. Based on his global cultural knowledge, he is now challenged with providing the necessary leadership to expand SKEC’s viability and growth strategy throughout the Americas. C. Michael (Mike) Illanne is President and General Manager of Chevron’s Project Resources Company (PRC) in Houston, Texas. In this position Mike is responsible for Chevron’s project development and execution work processes; ensuring people are available and capable to lead Chevron’s major capital projects; and providing oversight for the execution of the Corporation’s worldwide major capital project portfolio. Prior to his appointment in January 2008, Mike held the position of General Manager Deepwater Assets in Lagos, Nigeria. In this role, he was responsible for managing all aspects of Chevron’s deepwater assets in the Gulf of Guinea, Nigeria. His responsibilities included administration of exploration licenses and production sharing contracts; exploration and development drilling; negotiation of joint development agreements; and major capital projects. Mike served as General Manager, Corporate Strategic Planning, in San Ramon, CA during 2004 and 2005 where he was responsible for the Corporation’s annual planning process including upstream and downstream business segment strategic updates, oil price forecasting, and segment business plan and portfolio analysis. A native of Mississippi, Mike graduated in 1980 from Mississippi State University with a Bachelors Degree in Civil Engineering. He joined Chevron’s North America Exploration and Production Company as a Design & Construction Engineer in New Orleans, LA and has held numerous technical and management positions including: Construction Manager for the Kutubu Project in Papua New Guinea, Major Capital Projects Manager for the Papua New Guinea Strategic Business Unit in Brisbane, Australia; Director Upstream Projects for Project Resources Company, New Technology Ventures Manager for Chevron’s North America Exploration and Production Company; and General Manager Project Commercialization for Chevron’s Global Power & Gasification Business Unit, in Houston. Mike is a Board Member for the Association of Internal Management Consultants (AIMC), and member of the Construction Industry Institute (CII), the Construction Users Roundtable (CURT), and the Engineering and Construction Contracting Association (ECCA). Mike is married to Julie and they have three children and three grandchildren. Jim Peters is a 20 year veteran of the strategy consulting industry and recently joined Wood Mackenzie to help lead the Downstream Consulting team. He is currently based in Wood Mackenzie’s Houston office. Jim has led consulting assignments in all major areas of the energy industry, focusing on developing business portfolio strategies, and conducting due diligence efforts, as well as supporting negotiating alliances, acquisitions, investments, and divestitures, and implementing changes through operational improvement efforts. Prior to joining Wood Mackenzie, Jim’s extensive consulting career has included partner positions at McKinsey and Company and AlixPartners. He started his career in the Engineering department of Borg Warner Chemicals and spent time in the planning department for ARCO Chemicals. Jim holds a Master of Business Administration degree from The Wharton School at the University of Pennsylvania, and a Bachelor of Science degree in chemical engineering from the University of Virginia. Most comprehensive coverage of research in the Engineering & Construction Industry. Over 25 years Sell-Side research experience. Joined D.A. Davidson in 1992. Institutional Investor’s “Home-Run Hitter” (3 times); Wall Street Journal’s “Best on the Street” (5 times); Forbes’ “Best Brokerage Analyst” (5 times). Co-host of the largest annual Institutional Investor E&C Conference and author of the “Monthly E&C Industry Update”. 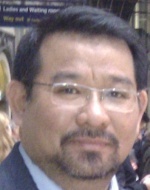 Dr. Thevarak Rochanapruk is the Vice President and Project Director of PTT Phenol Company Limited Thailand. The company is the subsidiary of the Thai national energy firm PTT Group. Dr. Thevarak earned his B.S. from University of London and Doctorate from Rensselaer Polytechnic Institute, New York. For over 25 years, he has worked in the petrochemical industry in Thailand with responsibility ranging from R&D, plant operations and projects development. His latest project is the world largest Bisphenol-A plant with single train capacity of 150,000 Ton per year located in Rayong, Thailand. Dr. Thevarak and his family live in Bangkok Thailand. 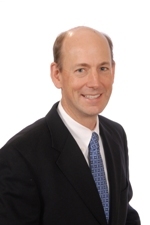 Thomas “Tom” H. Zarges is Chairman of URS Corporation’s Energy & Construction business. He provides general oversight for the business and is responsible for managing relationships with major clients and oversight of large contracts. In addition, Mr. Zarges leads company-wide strategic assignments and is a member of URS’ Management and Risk Management Committees. 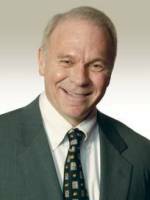 With more than 40 years of experience in the global engineering and construction industry, Mr. Zarges has worked in heavy civil construction, on high-technology projects in the steel and process industries, in industrial manufacturing, and on major nuclear- and fossil-power projects. Prior to being promoted to his current position as Chairman, Mr. Zarges served as President of the Energy & Construction business, responsible for the business’ operations worldwide. Earlier, he was Senior Executive Vice President of Operations for Washington Group International, a global engineering, construction and management company acquired by URS in 2007. In his career with the Company, Mr. Zarges has served as President of multiple past operating units including Power, Industrial/ Manufacturing, Engineering/Construction and Industrial/Process. In addition, he has 20 years of experience with heritage company United Engineers & Constructors, where his positions included Vice President of Business Development. Earlier, he held supervisory roles in field construction, engineering and project management. Mr. Zarges earned a bachelor’s degree in engineering from the Virginia Military Institute in Lexington, Virginia.